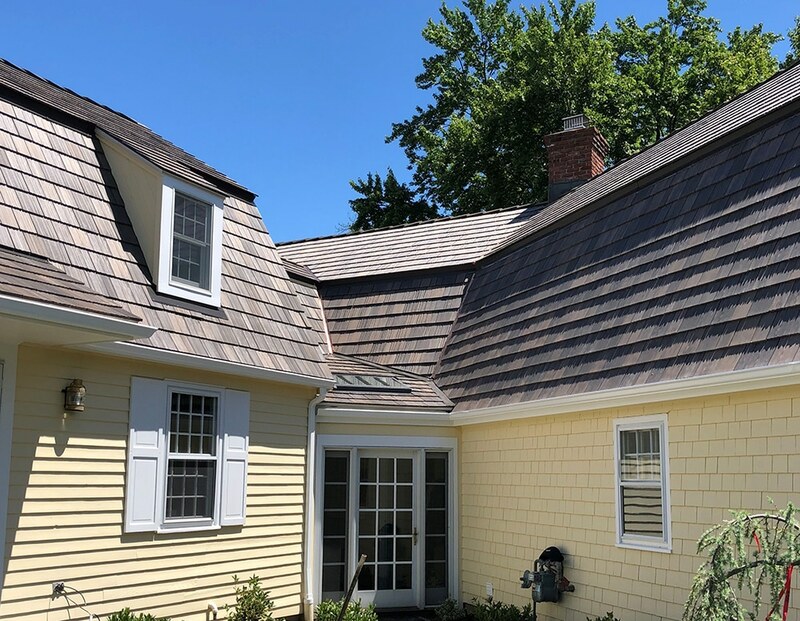 When the Saraniti family recently moved into their new home in Connecticut, they knew a new roof was high on the priority list. 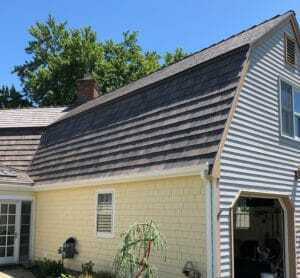 Their 50-year old Dutch Colonial style home was long overdue for a replacement. In their community, real cedar wood has been the roofing requirement for decades. The Saranatis wanted something with less maintenance hassles. They researched composite shake roofs from DaVinci Roofscapes and requested approval from the community’s review committee to make a change. 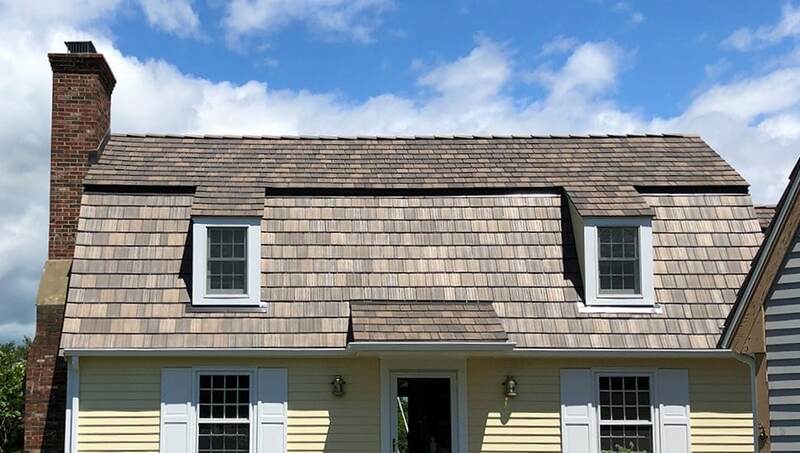 After receiving approval of their composite roofing choice, the Saranitis selected the new Aged Cedar color in the Nature Crafted Collection in multi-width shakes. Introduced in early 2018, the Nature Crafted Collection includes realistic, nature-inspired colors including Aged Cedar, Mossy Cedar and Black Oak. Each color reflects different progressive aging processes found on real shake shingles and captures the look and retains it for decades. Available in both single-width and multi-width shake, the tiles with Nature Collection colors have a lifetime limited warranty and will not split, crack, curl or fade. Each tile has been crafted to resist fire and impact, along with high winds, mold, algae, fungus and insects. The composite tiles come in both wavy and straight grains throughout each shake tile to achieve an authentic wood look. The Aged Cedar color selected by the Saraniti family reflects a burnt reddish cedar tone. This color is generally found when there’s a transition from a new cedar shake roof into the weathered deeper tone. More Composite Roofing on the Horizon? For the Stamford, Connecticut community where they live, unified exterior home appearance is important. “Visually I don’t see too much of a difference between the real cedar roofs and our roof in the neighborhood,” says Saraniti. “That’s a complement to the authenticity of the DaVinci product. 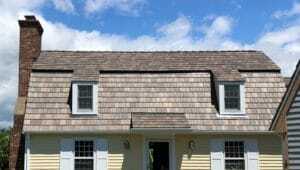 “Our DaVinci roof looks great — especially now that we’ve added new exterior paint to the house and landscaping … it’s a combination of those three that make the house impressive.